This tune definitely is far from corrupted. You may have heard of the trance duo, Signalrunners, but chances are very high -- nay, extremely high -- that you have not. And that's a shame because not only are they prolific in releasing several vinyls per year, but also in releasing consistently excellent tunes on a regular basis. 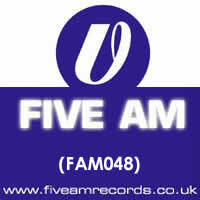 Signed to Five AM Records at the time, they truly are an act to be noticed; consider them the underdogs of the trance universe! Among their most enchanting of compositions is this particular offering, "Corrupted". I had to play the song several times to figure it out on my own, and I'm still not even convinced that this is the exact phrasing. It's very quickly spoken, considering it was all said within a 22-second period (which seems unimpressive until you discover there's an instrumental break at the halfway point that lasts six of those seconds). The chorus is best presented after the short calm period, after which a wild climax, a burst of energy, emerges from within the tune. In fact, there isn't as much time spent on building up the suspense as a song of this caliber normally has; in fact, there's more "extra" content for DJs to play around with at the end of the song. I am very much impressed at the effort, the end result, and the overall joyous feeling that I received upon hearing this the first time and the fiftieth time. The magic never dissipates. The Judge Jules Edit is actually just a modified version of the Original Mix, reduced by a couple of minutes so as not to seem so excessive. By cutting out a little bit of the fat, Judge Jules has... pretty much wasted his time just to save a bit of ours. Thank you, Judge Jules, for such a superfluous edit. You are truly a jewel of the industry. Two other remixes line the single. The Edin Bosnjak Remix is noticeably more on the techy side but still maintains a strong trance component. Only the first of the two vocal verses is still present, but the chorus is clearly the focus. The residing melody is somewhat different and more arpeggiating but still complements the female voice nicely. There's even a bit of filtered guitar in there! That's the cherry on top of the delicious musical sundae. The remix is well-polished and is definitely just as worthy as the original for being here. Meanwhile, the Pillow One Fender Remix is an unusual affair, obviously borrowing a slight chillout house vibe. The bassline is in the forefront for a long while but fails to keep a steady flow of improvements and tense buildup like I would have preferred. The vocals don't quite work out in electro-house mode either, as they now sound far too pasted on to the track. There's also fake acoustic guitar but even it can't salvage this lost ship at sea. Even the chorus vocals seem missing in action! There's no fun in that. The instrumental aspect of this track should serve a different purpose than a "Corrupted" remix. It is indeed corrupted. But that doesn't mean that this entire single is corrupted. In fact, it is a rather well-rounded package, even if it ends in a whimper. Although I must admit that there are so many trance music releases out there that just sound like one another, it's quite nice to have one stand out from the crowd. It is quite easily memorable, and there were times I can remember where I had difficulty focusing during a lecture because "Corrupted" was stuck in my head and I couldn't get it out. (But then again, when do I NOT have difficulty focusing during a lecture?) If it is within your power, snap up this fine release.